Meet our friend Anya. She’s just a pit bull terrier mix, who’s a little over a year old, and is seeking a forever home. Our friends at Rescue Dogs Rock NYC rescued Anya from the infamous NYCACC, a high-kill rate shelter. She’s since been with a foster, but this beautiful and shy girl really should be the queen of her household. That’s why we’re featuring her as our LWD Adoptable Dog of the Day. Anya is 1 year and 4 months old. She is a NYCACC survivor! Anya is up to date on shots. 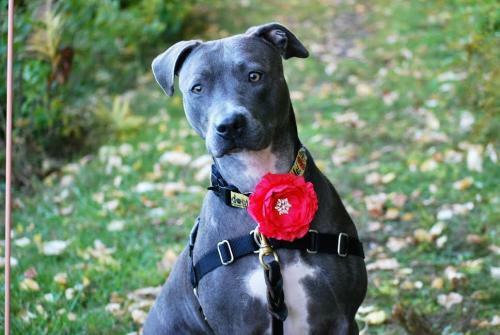 She is a very playful girl who loves to go for walks and snuggle with her people. It does take her a little time to warm up to new people and other dogs, so a loving, patient home is a must. Anya would do best in a single dog home. If there is another dog in the home, a submissive male would best. Slow introductions should occur. She is very treat motivated, and knows the basic commands of sit, stay and down (of course treats will help her learn new commands!). 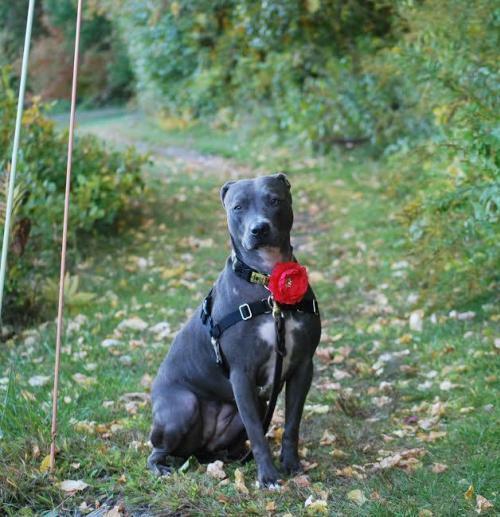 She walks well on leash with a gentle leader, and is potty trained and crate trained. Anya has lived with a cat and sometimes chased the cat, though nothing ever came of it. We suggest a home where if kids are present, they are older and more respectful of her space. Anya would greatly benefit from a family who understands that she will need continued socialization training and confidence building. To see Anya’s bio page, click here. To see the Rescue Dogs Rock NYC main page, click here. To see their Facebook page, click here.